Yup, that’s what I said, BACON FAT KALE! I had a bag of Kale that needed to be used, so I decided to toss it in a sauté pan and sauté away…but instead of oil, I decided to sauté it in our reserved uncured bacon fat. I have to tell you, if you have an aversion to kale, or “green things” this is your method to try! Turn the heat on in the pan, give the bacon fat a head start, toss in the kale, sprinkle with kosher salt/pepp, and voilà! Kale that tastes like bacon. 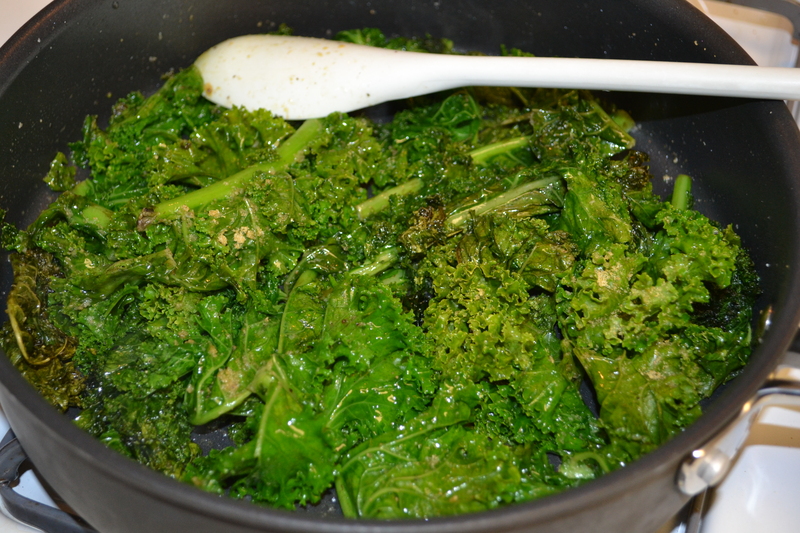 This entry was posted in Recipes and tagged Kale, Paleo, Uncured Bacon Fat by livinglikelinds. Bookmark the permalink.